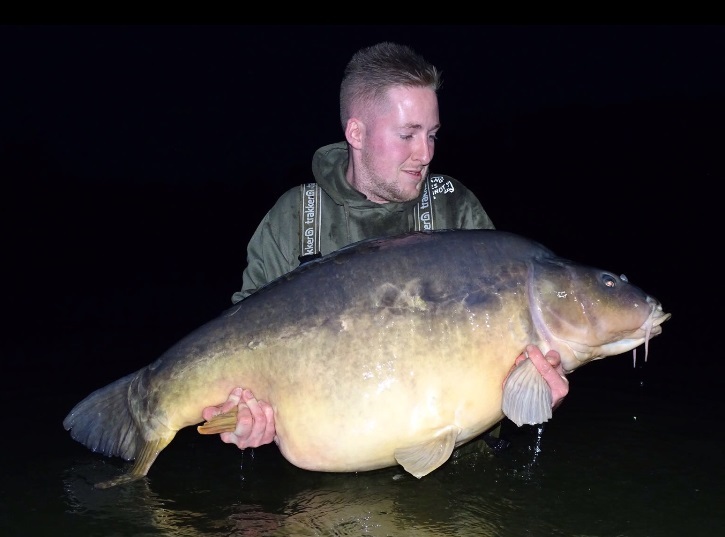 Footage captured as Ashley Bull netted a lake-record 74lb 4oz mirror shows the pure joy that carp fishing can provide. 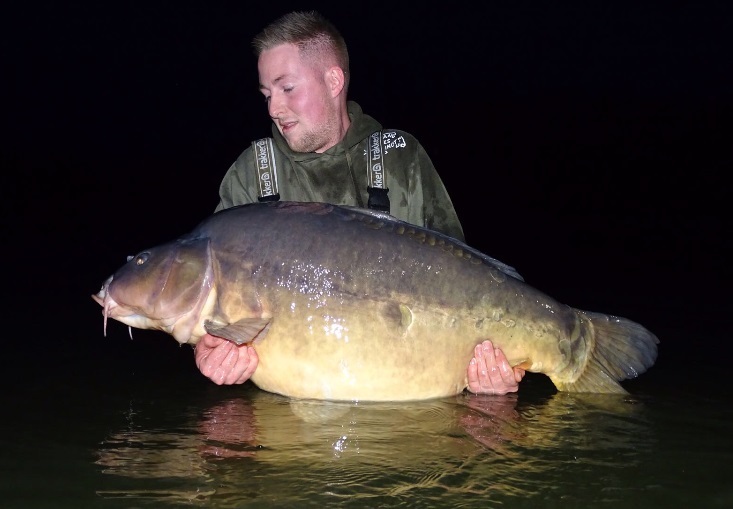 Surrounded by his mates at Etang des Moulinots in France, the 25-year-old steers the venue’s biggest fish to the net before the tension evaporates and the group erupt in celebration. The giant mirror made its appearance at about 8pm on Thursday, after the self-employed plumber had banked a 24-pounder earlier in the week. He said: “The fight was like no other fight I have had before – it just felt like a dead weight. “It felt so big that it went through my head that I could’ve foul hooked it. The capture came after Ashley repositioned a rod at 28.5 wraps (114yds) into an area that hadn’t been fished all week. He baited with small amounts of sweetcorn, pellets and boilies, presenting a Bait Works Scent from Hell pop-up over the top on a German rig tied with a size 4 Korda Kurv Shank hook. In total, Ashley’s group of six bagged 22 fish, including a 60 and three 50s.